It’s cookie decorating 101 with actress Angela Kinsey (The Office) and actor/husband Josh Snyder! The couple stops by to chat about their YouTube cooking show called, "Baking with Josh & Ange." The actress, who is best known for her role on The Office, married the actor turned baker in 2016 and they now have their own YouTube series called Baking with Josh & Ange. 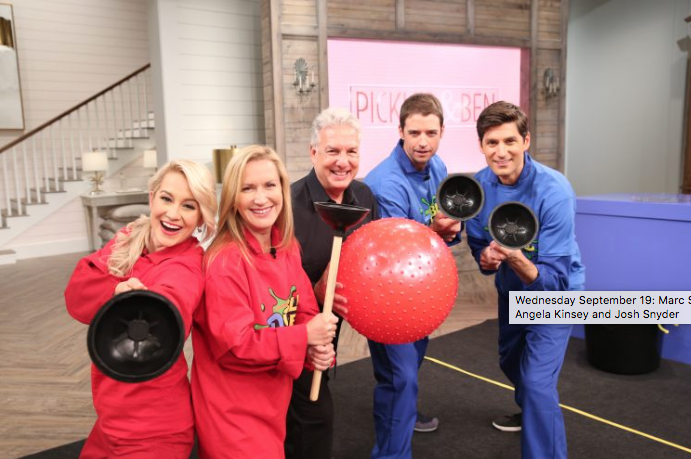 Iconic host Marc Summers brings Double Dare back to the set of Pickler & Ben for a series of physical challenges. 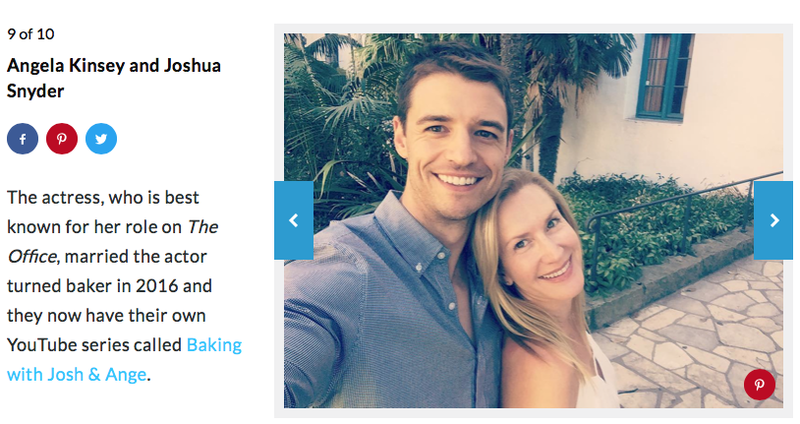 It’s cookie decorating 101 with actress Angela Kinsey (The Office) and actor/husband Josh Snyder! The couple stops by to chat about their YouTube cooking show called, Baking with Josh & Ange. Nunez and Kinsey, who have been pals IRL for 20 years, recently got together to film a segment for Kinsey and husband Joshua Snyder's baking channel, Baking With Josh & Ange. Jenna Fischer...The Splitting Up Together actress shared a photo of her daughter’s birthday cookies, baked by Josh Snyder, who is her best friend and The Office co-star Angela Kinsey‘s husband. Josh & Angela take on the Not My Hands Challenge — Cake Edition and things got MESSY! Angela Kinsey is determined to continue “the legend” of her vending machine jacket—this time, through sugar cookies. Missing 'The Office'? Angela Kinsey and her IRL husband's YouTube channel will help. If you’re nostalgic for The Office and just want to see all your favorite Dunder Mifflin employees hanging out together, then you have Colleen Ballinger (aka, Miranda Sings) to thank for this YouTube baking show. The Office's Angela Kinsey and On-Screen Husband Rainn Wilson Reunite to Make Vegan Brownies. 'The Office's Angela Kinsey on Her New Baking Show, Cast Reunions, and That Mysterious Revival.